Science fiction plus mystery blend in this version of future Earth. From CIP: Someone is trying to sabotage the underwater habitat where Imina, the granddaughter of an Inuit shaman, lives after terrorists have infected the earth’s food supply, and Imina must call on her still undeveloped magical skills to save the colony. I thoroughly enjoyed reading this sci fi adventure quest story. Enjoyable characters, intriguing plot, excellent writing. The heroine, Lilly, gets herself in and out of many scrapes and makes some friends along the way. Her seacat is my favorite. I have yet to read the sequel, Flood and Fire. I hope to get to it soon. From the CIP: In 22nd-century Great Britain, where climate change has caused vast flooding, piratical raiders kidnap the Prime Minister’s daughter and thirteen-year-old Lilly Melkun, an English fisher-girl, takes her seacat on a daring rescue attempt, with a mysterious talking jewel from a past computer age tucked in her belt as ransom. Dark Life is on the school’s current reading list and seems to have developed a following. I like it! Mystery and adventure combined with the well imagined and described underwater community. Ty is the first child born in the new frontier of subsea colonization. A girl from the topside, Gemma, arrives and is in trouble. She is searching for her brother who has disappeared. Plenty of bad guys here. It’s sort of a Wild West scenario that plays out subsea. The sequel, Rip Tide, just came out. I’m in line to read that one too. Suspense and adventure set in Farmer’s future Zimbabwe in the year 2194. The three children of General Matsika sneak away from their privileged home full of technological advances for a bit of adventure. They are taken by gangsters and forced to work in the plastic mines of a toxic dump in addition to many other strange adventures. The General enlists the help of an unusual detective agency to find and return his lost children. This is unlike any story I have read before. An area of Mexico has become a drug state, led by the 140-year-old leader. Gee, 140 years? Hmmm, hard to get to that age without getting new body parts from time to time. And it’s best to get replacement body parts that are as close to your match as possible. Clones would sure come in handy. The story focuses on young Matt who enjoys special status growing up in this drug state. Writing anything more would give it all way. Nancy Farmer is amazing. Read her books, all of them. There is never a dull moment in this futuristic virtual war game thriller. Corporations rule the world and fight over rights to natural resources on Earth and the solar system. The corporations argue there is no loss of life in conflict dispute because warships are unmanned since they are controlled virtually with teenagers as the controller/combatant. Teens are used because of their flexible brains and Tom is the newest recruit. His mother left him with his father years ago and they have drifted from casino to casino. While his father gets drunk and rants against the corporations and military, Tom spends his lonely existence in virtual gaming parlors, rarely attending his virtual school. Tom’s gaming expertise catches the attention of the military (as in The Last Starfighter movie) and he is eager to leave this drifter life and become someone important. He learns there is a huge catch – a neural processor will be implanted into his brain that could pave the way for others to program him. Tom is rather impulsive and has little to lose by leaving his life behind, so why not let the military dig into his brain. He gains friends for the first time in his life, and enemies as well, when he starts battle school. Tom, Vik, Wyatt, and Yuri are in the same division and are intensely loyal to each other. They are all well-developed characters who have a dash of charm and humor to soften their rough edges. Socially awkward Wyatt, befriended by Tom, is the true hero. I love the way her character develops. Tom is unique because he is brash yet is also a brilliant strategist constantly honing his skills. He is a fearless fighter on the battlefield, but is compassionate in the real world. Another amazing thing about Tom – he can take a beating physically and mentally and still keep his sense of humor and good nature. Then again . . . he is awfully good at revenge. I especially enjoyed all of the virtual world scenarios and the battles with Medusa. Looks like there will be a sequel to come and I hope Medusa, the unbeatable enemy warrior, is heavily featured. She is an intriguing character and I want to see more. Insignia is expertly written with a detailed plot, entertaining characters, and delivered at a non-stop pace. Insignia should be a huge hit that belongs on all of the best of lists. Libraries will need several copies to satisfy reader demand. Cinder is a teenaged cyborg in future China that is suffering from a world-wide plague. Being a cyborg or part machine, it is natural that Cinder is a mechanic/techie and runs a booth in the market fixing anything mechanical. Yes, it is cyborg Cinderella and one of the best books I’ve read recently. There most certainly is a prince. He is the dashing, kind, young ruler-to-be in need of a mechanic to fix his android. When his father dies of the plague, Prince Kai inherits the plague catastrophe and also impending invasion from a Lunar nation. Cyborgs are considered to be second class citizens thus expendable in the experimentation for a plague cure. Cinder’s cruel step-mother gladly turns over Cinder for experimentation in exchange for payment. The plague scientist discovers who or what she really is . . . The characters are solid and the writing is engaging. This book has the linger effect or fixation factor. I did not want to put it down and the story stayed with me, nagging at my brain as I went about my day. That’s the mark of a really good story. I see this as the next big YA hit, except one thing could hold it back – the cover! The cover art shown on this blog entry is perfectly fine. Not girly – somewhat enchanting. While I was reading, I thought finally there is a Cinderella story that boys will enjoy! As I write this it seems the cover art had changed. A red shoe with a 4-inch heel is on the cover. Arrgh! So boys, ignore the cover and read this book. There is no smooch romance in Cinder. It is a unique science fiction, action, mystery story and I eagerly wait the next installment. 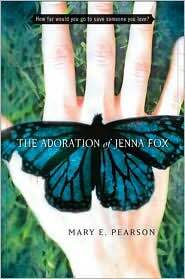 Jenna wakes up from a year-long coma following a serious accident. Her parents have connections and have been able to save her by using biotechnological advances that are illegal. As her memory slowly returns, she wonders if she is human at all. The sequel just came out and is equally as good. Similar in concept to The Adoration of Jenna Fox, but better for older teens. From the CIP: Lia Kahn’s family pays for the most advanced medical technology to save her when her body is devastated in a horrible accident, but when the operations are complete, Lia remains alive but her body does not. 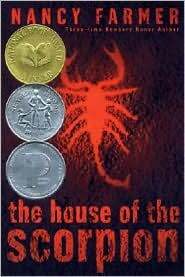 I put Uglies on our school reading list twice and both times, it was a clear favorite with students going on to read the entire series. In the future, when children turn sixteen, they have plastic surgery to have faces of perfection. What the children are not told is the surgeon also alters the brains a bit to make them more pliable and conforming to society. Tally meets Shay who opens up Tally’s eyes that this secret operation is happening. Shay intends to escape to live her life free. Tally has to decide if she is to conform or rebel. These books are packed with action and are highly recommended.